Take advantage of exclusive web-based training, resources, networking, and ongoing support available to licensed Leader in Me Schools. Leader in Me Online is a website full of resources to help teach students, develop staff, engage parents, and achieve measurable results. Welcome to an exciting new series of insightful videos and articles that support you in the classroom. This weekly series supports the framework of Leader in Me already in place in the classroom and is only available at Leader in Me Online with Annual Membership. Leader in Me Weekly provides licensed schools with helpful videos, articles, and classroom resources to inspire and support Leader in Me educators and the kids they teach. 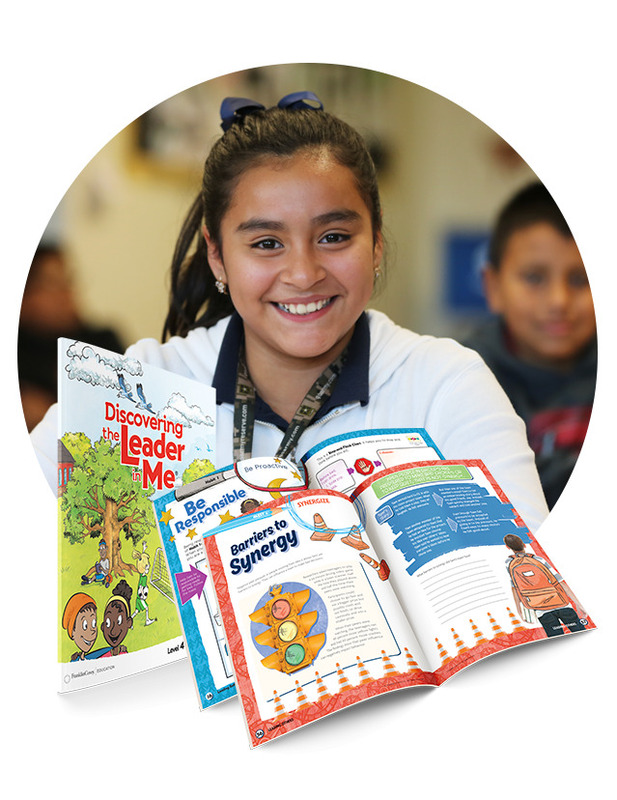 Find digital versions of student and teacher materials at Leader in Me Online. An emphasis on leadership skills such as decision making, problem solving, public speaking, critical and creative thinking, and more. A direct teaching of key concepts associated with the 7 Habits. Links to videos, handouts, and supplemental stories at Leader in Me Online. NOTE: Contact your local FranklinCovey representative to order printed versions! 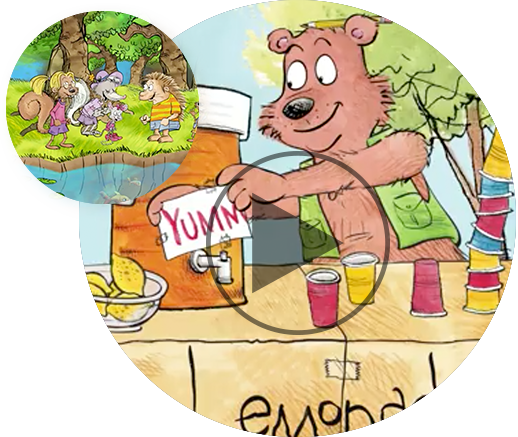 Engage kids with fun animated videos designed for elementary school students. There’s never a dull moment in 7 Oaks! 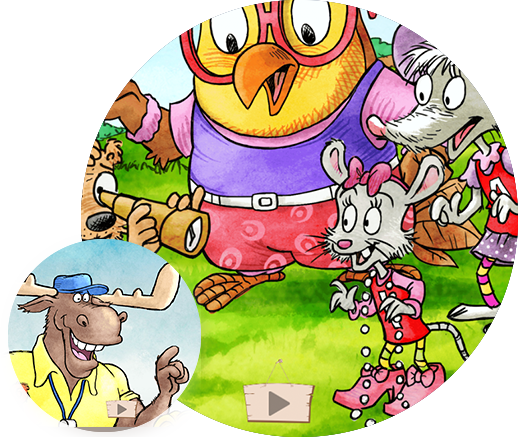 Whether you’re playing soccer with Jumper Rabbit or planting a garden with Lily Skunk, all the friends are always having fun and learning something new. These seven animated videos show how applying the 7 Habits helps kids make good choices and discover new ideas. Allow students to track their academic performance and goal-setting. Leadership Notebooks provide a place for students to keep their individual mission statements, notes about the 7 Habits, and personal reflections and highlights. It also helps them track their academic data, set goals, and consistently track progress on those goals, giving them the ability to “course-correct” at any time. Through Leader in Me Online, educators can access downloadable resources including WIG planners, accountability partner forms, leadership classroom checklists, leadership role lists, and more. Integrate 7 Habits in the classroom with detailed outlines. 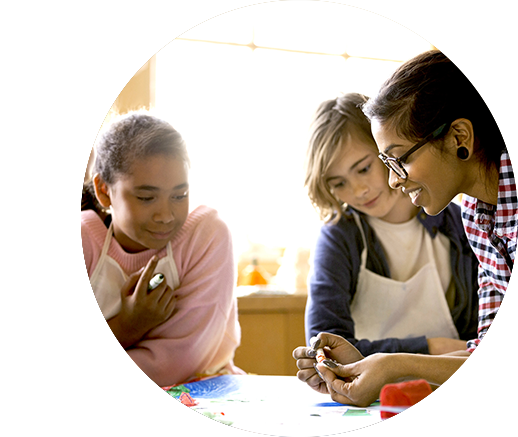 Short in-class lessons help students to both discover the 7 Habits, and understand the key concepts within them. The more students are engaged in the learning process, the more they internalize the leadership content and apply it in their own studies. This internalization enables students to think critically, apply the habits in day-to-day situations, and move to the application, evaluation, and synthesis levels of Bloom’s Taxonomy. 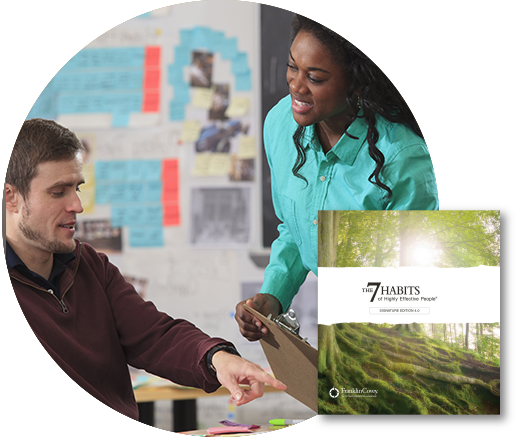 The 7 Habits lesson plan resources can help establish class mission statements, class leadership roles, and regular class discussions on leadership topics. Help students understand the 4 Disciplines with this animated story. This story follows the Happy Kids as they participate in a 24-hour overnight race as part of Summer Camp. The two teams must use the 4 Disciplines of Execution (4DX) to navigate and overcome the obstacles ahead of them, and their journey is detailed by an illustrated story for each of the 4 Disciplines. Each story is formatted as a reader’s theater, with 12 separate characters for students to read out loud. 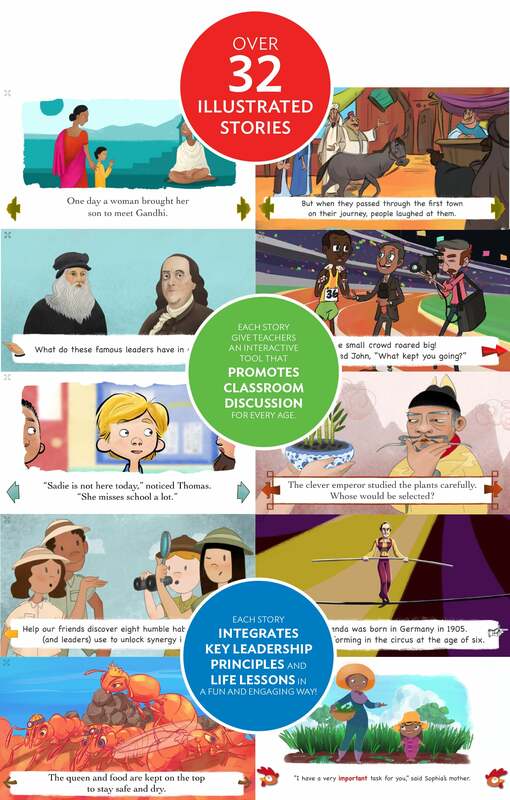 These fun and engaging web-based stories are based on life lessons that can be used to further teach and illustrate leadership concepts in a classroom discussion. The First 8 Days is a series of six PDF guides for Leader in Me teachers in grades K-5. These lessons are designed to help start you get your school year off to a strong start in a way that will lead to measurable results. Continue to learn and apply the 7 Habits with this series for staff. The 7 Habits of Highly Effective People® training allows staff to deepen their understanding of training they’ve received. Leader in Me Online offers web-based structured outlines and videos that provide great opportunities for discussion about key principles of the 7 Habits without having to leave school grounds or schedule a visit from a FranklinCovey presenter. With an accountability partner, staff can pair up to help each other continue to improve and apply timeless principles of effectiveness at work and at home. Engage staff with a vast library of videos for professional development. Schools have access to an extensive selection of FranklinCovey’s award-winning leadership development videos for use in staff meetings, classrooms, or for personal study. The videos highlight key Leader in Me principles designed to help staff continually improve. Connect with other Leader in Me Schools to to find solutions and discuss ideas. 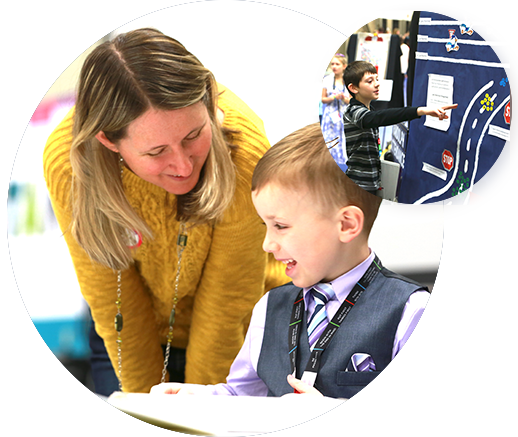 Take part in an interactive community full of lesson plans, bulletin board photos, videos, activities, literature connections, Leadership Event ideas, and other resources created by educators in Leader in Me Schools all over the world. 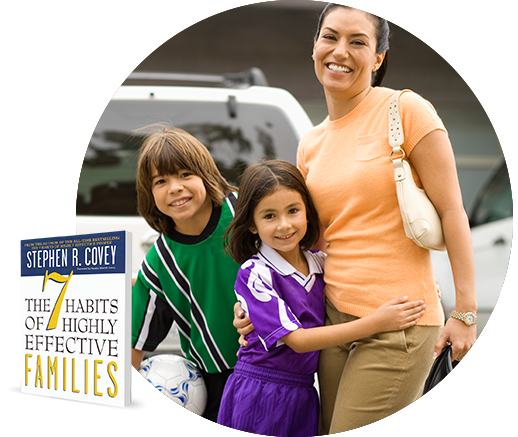 Staff can access training resources to teach the 7 Habits of Highly Effective Families workshop to parents and guardians. Parent night resources help staff members present and distribute information for parents and community members wanting to learn more about Leader in Me. Lighthouse is the standard for high-performing Leader in Me Schools. Leader in Me implementation outlines simple paradigms, behaviors, and a path for staff to collectively achieve measurable results. In coordination with a coach, administration and the Lighthouse Team can work together with help from supporting resources available through Leader in Me Online to address challenges and make improvements. Lighthouse Rubrics, agenda outlines, action planning templates, and guides for leadership days to support team members. Coaching module resources that address common challenges of lighthouse team members, administrators, and staff. Access to a central dashboard with data regarding the school’s progress toward achieving the Leader in Me Lighthouse milestone. Use data to track schoolwide improvement for leadership, culture, and academics. Each spring, schools are encouraged to invite staff, students, and parents to take the MRA as a way to measure the effectiveness of Leader in Me implementation and identify ways to improve in the coming year. The direct alignment between the MRA measures and the Leader in Me Framework creates a data-informed, action-oriented improvement cycle dedicated to ensuring positive, transformative results.